(1) Jun Huang, Kaihua Yang, Zhengxi Zhang*, Li Yang*, Shin-ichi Hirano, Layered perovskite LiEuTiO4 as a 0.8 V lithium intercalation electrode, Chemical Communications, 53, 7800-7803, 2017. (2) Xiaowei Li, Sijian Li, Zhengxi Zhang*, Jun Huang, Li Yang*, Shin-ichi Hirano, High-performance polymeric ionic liquid-silica hybrid ionogel electrolytes for lithium metal batteries, Journal of Materials Chemistry A, 4, 13822-13829, 2016. (3) Xiaowei Li, Zhengxi Zhang*, Sijian Li, Li Yang*, Shin-ichi Hirano, Polymeric ionic liquid-plastic crystal composite electrolytes for lithium ion batteries, Journal of Power Sources, 307, 678-683, 2016. (4) Xiaowei Li, Zhengxi Zhang*, Li Yang*, Kazuhiro Tachibana, Shin-ichi Hirano, TiO2-based ionogel electrolytes for lithium metal batteries, Journal of Power Sources, 293, 831-834, 2015. (5) Xiaowei Li, Zhengxi Zhang*, Kun Yin, Li Yang*, Kazuhiro Tachibana, Shin-ichi Hirano, Mesoporous silica/ionic liquid quasi-solid-state electrolytes and their application in lithium metal batteries, Journal of Power Sources, 278, 128-132, 2015. (6) Kun Yin, Zhengxi Zhang*, Xiaowei Li, Li Yang*, Kazuhiro Tachibana and Shin-ichi Hirano, Polymer electrolytes based on dicationic polymeric ionic liquids: application in lithium metal batteries, Journal of Materials Chemistry A, 3, 170-180, 2015. (7) Qinghua Tian, Yang Tian, Zhengxi Zhang*, Li Yang*, Shin-ichi Hirano, Double-shelled support and confined void strategy for improving lithium storage properties of SnO2/C anode materials for lithium-ion batteries, Journal of Materials Chemistry A, 3, 18036-18044, 2015. (8) Qinghua Tian, Zhengxi Zhang*, Li Yang*, Shin-ichi Hirano, Morphology-engineered and TiO2 (B)-introduced anatase TiO2 as advanced anode materials for lithium-ion batteries, Journal of Materials Chemistry A, 3, 14721-14730, 2015. (9) Qinghua Tian, Yang Tian, Zhengxi Zhang*, Chuansheng Qiao, Li Yang*, and Shin-ichi Hirano, Facile template-free preparation of hierarchical TiO2 hollow microspheres assembled by nanocrystals and their superior cycling performance as anode materials for lithium-ion batteries, Journal of Materials Chemistry A, 3, 10829-10836, 2015. (10) Qinghua Tian, Yang Tian, Zhengxi Zhang*, Li Yang*, Shin-ichi Hirano, Design and preparation of interconnected quasi-ball-in-ball tin dioxide/carbon composite containing void-space with high lithium storage properties, Carbon, 95, 20-27, 2015. (11) Qinghua Tian, Zhengxi Zhang*, Li Yang*, Shin-ichi Hirano, Three-dimensional wire-in-tube hybrids of tin dioxide and nitrogen-doped carbon for lithium ion battery applications, Carbon, 93, 887-895, 2015. (12) Qinghua Tian, Yang Tian, Zhengxi Zhang*, Li Yang*, Shin-ichi Hirano, Fabrication of CNT@vodi@SnO2@C with tube-in-tube nanostructure as high-performance anode for lithium-ion batteries, Journal of Power Sources, 291, 173-180, 2015. (13) Qinghua Tian, Yang Tian, Zhengxi Zhang*, Li Yang*, Shin-ichi Hirano, Facile one-pot hydrothermal with subsequent carbonization preparation of hollow tin dioxide@carbon nanostructures as high performance anode for lithium-ion batteries, Journal of Power Sources, 280, 397-405, 2015. (14) Qinghua Tian, Zhengxi Zhang*, Li Yang*, Shin-ichi Hirano, Fabrication of mesoporous titanium dioxide/tin dioxide/carbon hollow microspheres as high performance anode for lithium-ion batteries, Journal of Power Sources, 279, 528-532, 2015. (15) Senlin Wang, Zhengxi Zhang*, Aniruddha Deb, Li Yang*, and Shin-ichi Hirano, Synthesis, characterization and electrochemical performance of Ce-doped ordered macroporous Li3V2(PO4)3/C cathode materials for lithium ion batteries，Industrial & Engineering Chemistry Research, 53, 19525-19532, 2014. (16) Senlin Wang, Zhengxi Zhang*, Aniruddha Deb, Chunchen Yang, Li Yang* and Shin-ichi Hirano, Nanostructured Li3V2(PO4)3/C composite as high-rate and long-life cathode material for lithium ion batteries, Electrochimica Acta, 143, 297-304, 2014. (17) Senlin Wang, Zhengxi Zhang*, Zhitong Jiang, Aniruddha Deb, Li Yang*, Shin-ichi Hirano, Mesoporous Li3V2(PO4)3@CMK-3 nanocomposite cathode material for lithium ion batteries, Journal of Power Sources, 253, 294-299, 2014. (18) Qinghua Tian, Zhengxi Zhang*, Li Yang*, Shin-ichi Hirano, Facile fabrication of one-dimensional mesoporous titanium dioxide composed of nanocrystals for lithium storage, Electrochimica Acta, 138, 155-162, 2014. (19) Qinghua Tian, Yang Tian, Zhengxi Zhang*, Li Yang*, Shin-ichi Hirano, Facile synthesis of ultrasmall tin oxide nanoparticles embedded in carbon as high-performance anode for lithium-ion batteries, Journal of Power Sources, 269, 479-485, 2014. (20) Qinghua Tian, Zhengxi Zhang*, Li Yang*, Shin-ichi Hirano, Encapsulation of SnO2 nanoparticles into hollow TiO2 nanowires as high performance anode materials for lithium ion batteries, Journal of Power Sources, 253, 9-16, 2014. (21) Qinghua Tian, Zhengxi Zhang*, Li Yang* and Shin-ichi Hirano, Synthesis of SnO2/Sn@carbon nanospheres dispersed in the interspaces of a three-dimensional SnO2/Sn@carbon nanowires network, and their application as an anode material for lithium-ion batteries, Journal of Materials Chemistry A, 2, 12881-12887, 2014. (22) Senlin Wang, Zhengxi Zhang*, Shaohua Fang, Li Yang*, Chunchen Yang, Shin-ichi Hiran, Synthesis and electrochemical properties of ordered macroporous Li3V2(PO4)3 cathode materials for lithium ion batteries, Electrochimica Acta, 111, 685-690, 2013. (23) XinYue Zhang, ShaoHua Fang, Zhengxi Zhang*, Li Yang*, Li/LiFePO4 battery performance with a guanidinium-based ionic liquid as the electrolyte, Chinese Science Bulletin, 56, 2906-2910, 2011. (24) Zhengxi Zhang, HongYan Zhou, Li Yang*, Kazuhiro Tachibana, Kouichi Kamijima, Jian Xu, Asymmetrical dicationic ionic liquids based on both imidazolium and aliphatic ammonium as potential electrolyte additives applied to lithium secondary batteries, Electrochimica Acta, 53, 4833-4838, 2008. (25) Zhengxi Zhang, Li Yang*, Shichun Luo, Miao Tian, Kazuhiro Tachibana, Kouichi Kamijima, Ionic liquids based on aliphatic tetraalkylammonium dications and TFSI anion as potential electrolytes, Journal of Power Sources, 167, 217-222, 2007. 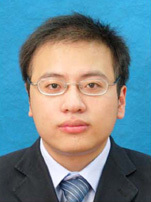 (26) Li Yang*, Zhengxi Zhang, XuHui Gao, HuanQi Zhang, Kiyotaka Mashita, Asymmetric sulfonium-based molten salts with TFSI- or PF6- anion as novel electrolytes, Journal of Power Sources, 162, 614-619, 2006. (27) Zhengxi Zhang, XuHui Gao, Li Yang*, Electrochemical properties of room temperature ionic liquids incorporating BF4- and TFSI- anions as green electrolytes, Chinese Science Bulletin, 50, 2005-2009, 2005.